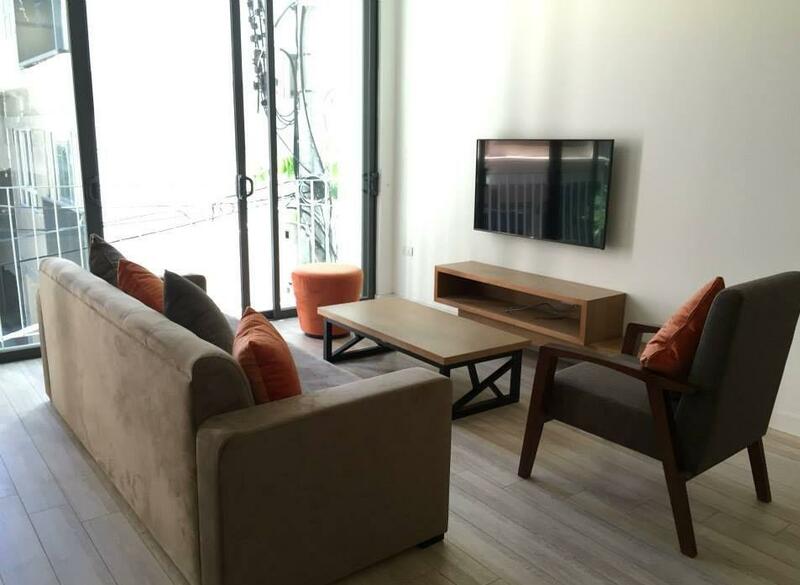 Nice serviced apartment in Lieu Giai street, Ba Dinh district, Hanoi for lease. It locates on 4th floor with 40 sqm and designed studio apartment: bedroom, bathroom ( with bathtub), kitchen. The apartment is equipped full furniture. It has balcony and window, so the room is usually light and airy. The building has elevator for moving and security 24/24. The rental fee : 400 usd ( inclusive cable tv, internet, water consumption fee, cleaning service) Please contact me at 0936 670 899 or huong@bdsmekong.vn for more information. 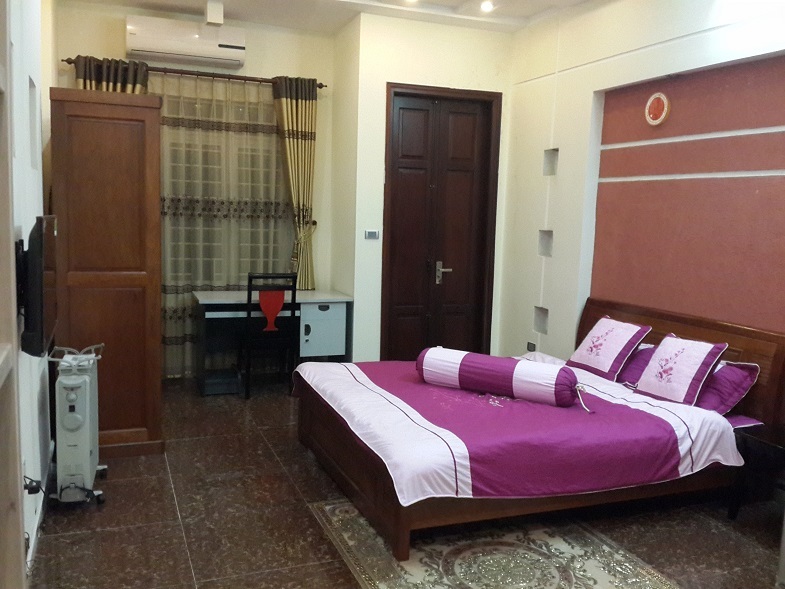 Nice studio apartment for rent in Lieu Giai street, Ba Dinh district, Hanoi. Total living area is 35 sqm with 1 bedroom , 1 bathroom. The apartment is full furniture and equipment, such as: Tv, sofa, cupboard, table, fridge,.. It locate on 3rd floor of the buiding where has elevator and security 24/24. The price is 350 usd/month, including cable tv, internet, water consumption fee, cleaning service. Please contact me at 0936 670 899 or huong@bdsmekong.vn for more information. One bedroom serviced apartment for rent in Ngoc Ha street, Ba Dinh district, Hanoi. Total living is 45 sqm, composed of 1 bedroom with living room, 1 bathroom, kitchen. The bedroom is designed separate with the kitchen. The apartment is equipped full furniture: tv, sofa, air condition, frigde, wardrobes,... The price is 330 usd per month, including cable tv, internet, cleaning service. Please contact me at 0936 670 899 or huong@bdsmekong.vn for more information. One bedroom serviced apartment for rent in Van Cao street, Ba Dinh district, Hanoi. Total living area is 50 sqm and composed of 1 bedroom, 1 bathroom , livingroom and kitchen. The apartment is equipped full furniture such as: air condition, tv, fridge, cooking stuffs, washing machine, wardrobe,.. The price for rent: 500 usd/month. The price is include cable tv, internet, water consumption fee, cleaning service twice a week. Please contact me at 0936 670 899 or huong@bdsmekong.vn for more information. One bedroom serviced apartment for rent in Kim Ma street, Ba Dinh district, Hanoi. Total living area is 60 sqm and designed with 1 bedroom, 1 bathroom, a living room and kitchen. The living room is usually full natural bright by large window. The apartment is full furniture and equipment : sofa, tv, dinning table, cooking stuffs, wardrobes, bath-tub, fridge,.. Close to Deawoo hotel, Lotte centre, restaurant and supermarket. The rental fee: 1000 usd/month. The price is include internet, cable tv, water consumption fee, cleaning service with laundry 3 times/week. Please contact me at 0936 670 899 or huong@bdsmekong.vn for more information.